Well let's put it this way: It is certain that the Nike Superfly zoom R4 spike is held in high esteem and viewed in the eyes of many as the best track spike out there for short sprinters. I have to say I agree, in fact I love these shoes. Sure, they are going to mark easily owing to the finish and the Spring 2015 colorway, but from a performance point of view they are second to none. Stylish, durable and comfortable (not always true in a sprint spike!) these are a solid purchase. 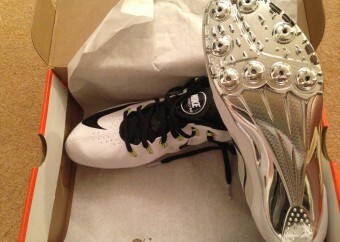 The flywire technology Nike uses here on this spike wraps around your entire foot, in contrast to the Nike Ja Fly spike. It wraps around the midfoot to really lock the foot into position. This spike is also more aggressive and therefore more appropriate for shorter distances: 60m/100m/200m, any further and I think the Ja Fly would be more appropriate for the athlete. The Pebax plate covers the entire length of the spike and is pretty aggressive (steep angle) as far as sprint spikes go, though nothing compared to the old Adidas Demolisher’s which felt like you were in high heels! (or so I would imagine). No zips or fancy tongues to be found here, Nike keeps a standard style lacing system down the middle. There are 8 spike receptacles on the sole of the shoe, as well as smaller grips embedded into the plate itself (including the heel) to aid traction at all times. 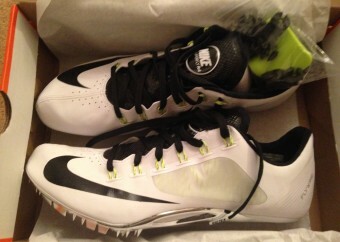 I found these spikes to be slightly narrow, and certainly ensures a snug fit. Granted, I do have wide feet. I ordered the US 12.0, 12.5 and 13.0 sizes and found the 12.5 to give a tight fit whereas going up to 13.0 gave excess room at the toe of the spike. They run 0.5 of a size smaller than other Nike footwear that I own, so I would recommend ordering a little larger. 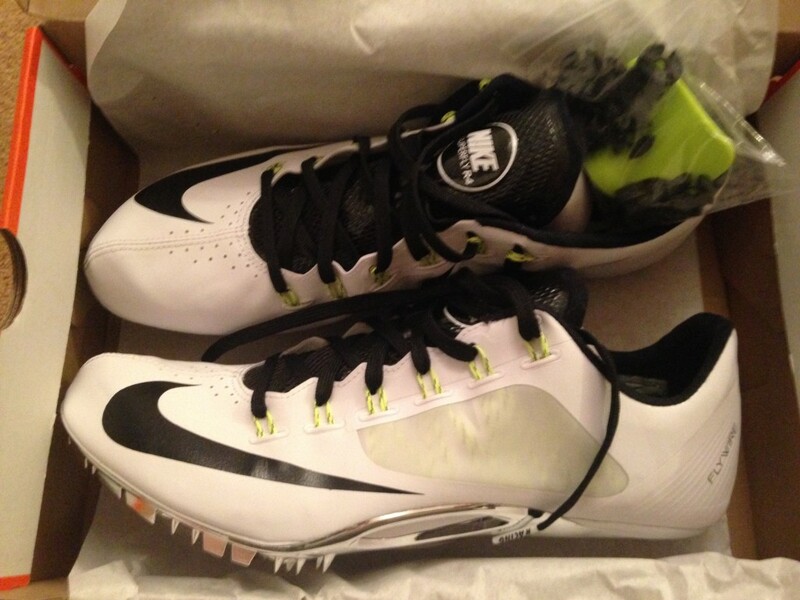 The spikes do have very firm arch support, meaning minimal loss of power on foot strike. Once on, they are very comfortable and do not feel flimsy. Weighing in at 7.8 oz they are not the lightest spikes available, however they do still feel very light and isn’t a defining factor by any means. The Nike Superfly zoom R4 spike is held in high esteem and viewed in the eyes of many as the best track spike out there for short sprinters. I have to say I agree. Sure, they are going to mark easily owing to the finish and the Spring 2015 colorway, but from a performance point of view they are second to none. Stylish, durable and comfortable (not always true in a sprint spike!) these are a solid purchase.